I nodded in puzzlement. To be honest, I could not understand her situation at that time. I thought it was normal to get pre-flight anxiety because I experience that sometimes too. But medication?! What medication?! I was so concerned and afraid I would not do a good job should her anxiety act up on flight that I kind of started panicking. Thankfully nothing happened and the flight went smoothly (phew). Anxiety disorder is actually more common in our society than we choose to believe. The tremendous, constant stress we experience in school and work often cause us to break down. If you’re as clueless as me and know of someone who suffers from severe anxiety, or you’re suffering from anxiety attacks and want to know what to do about it, read on to learn more about anxiety and some simple ways you can alleviate the situation. Anxiety, felt as a natural response to danger or threat, is normal when in moderation. The right amount of anxiety keeps you focused and motivated to eliminate the cause of anxiety. However, anxiety becomes a disorder when it is present constantly and heightened beyond control. If you feel that your anxiety is affecting your daily life, you are most probably suffering from anxiety disorder. 2. What are the symptoms of anxiety disorder? 3. How to alleviate anxiety? According to a study, the neurons in your body which tell your brain what’s going on, spies on your breathing to comprehend the ongoing situation. If you’re breathing quick, short breaths, your brain receives the message that you’re worried or nervous and make you feel extra anxious. If you control your breathing and take in slow, deep breaths, your brain will be engineered into thinking nothing is wrong and you will feel calmer than before. Place your hands on your stomach, and breathe through your nose until you feel your belly expand. Breathe out slowly through your nose with some force such that your stomach pulls inwards towards your spine. Do this for about 30 times. You should be feeling calmer after doing this breathing exercise. Try to practise it three times a day (morning, afternoon and night) for better results. Do not keep your anxious emotions to yourself. Loneliness worsen your anxiety because you feel like you have to face the situation yourself. Speak to your loved ones about the anxiousness you are experiencing. Communication is an action that keeps you focused and occupied, extracting you from your heightened emotions. If you’re trying to help someone who is experiencing an anxiety attack, always assure them that there is nothing to be afraid of and that they are in a completely safe situation. Remind them that their heightened emotions are only temporary. Stay close to them, give them a hug or hold their hands to foster a sense of security. Also, try to casually engage them in a conversation to lure them away from their anxiety. If they insist that they are alright, don’t let their denial fool you. Assuring and reassuring them is the key. Ever find your heart beating oddly fast after a cup of coffee? That’s because caffeine is an effective stimulant which is definitely ineffective in alleviating your anxiety. Caffeine’s effects on our body are similar to that of a frightening event, stimulating our brain to assume we are going through a ‘fight or flight’ situation, triggering anxiety and worsening your condition. So if you suffer from anxiety disorder, or you are expecting to go through a stressful situation later in the day, avoid consuming caffeine at all cost. 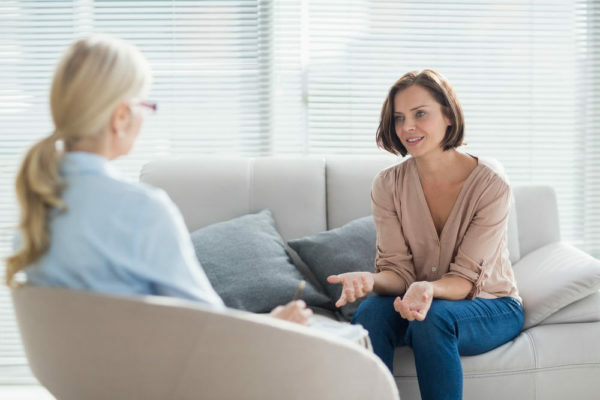 If you feel like your anxiety is spiraling out of control, or it’s hindering your daily life, it’s time to seek the help of a psychologist or psychiatrist. A combination of medication and therapy can effectively improve your condition. When you consult a doctor, it is important for you to be completely honest with him/her about your condition. This allows the doctor to have a complete understanding of the situation to ensure that the most effective solution can be recommended. Always keep in mind that there is nothing wrong with you. Anxiety can happen to anyone. Only by accepting your feelings and understanding the root cause of the problem, will your anxiety improve.